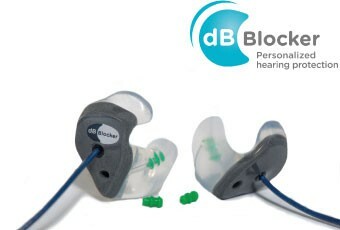 Metal Detectible dB Blocker™ hearing protector devices are for industries such as food and pharmaceutical manufacturing. Our Metal Detectible dB Blockers™ have been tested by a wide range of metal detection equipment. Most hearing damage arises when an ear plug is removed for conversation and comfort reasons. Metal Detectible dB Blocker™ ear pieces are permanently attached to the lanyard. Both protectors and the lanyard are detectible should they break or fall into the process. To see how much you will save on CUSTOM HEARING PROTECTION please fill out our quote form to receive a CUSTOM quote for your facility and start SAVING your workers hearing and money today!